When a nation goes through dramatic administrative shifts, it’s not uncommon for the weight of the economy to feel those ebbs and flows as well. Case in point: immediately following the 2016 presidential election, gold prices dropped an estimated $1.50 per ounce after an initial spike. However, despite this flux nearing the end of last year, gold has long been considered a “safe haven” in the eyes of investors during the country’s most turbulent times. Meaning, its value will remain steady or even increase as the market changes. This has been reflected by past crises, including a rise in gold in the aftermath of the 9/11 terrorist attacks and the demise of Lehman Brothers in the fall of 2008. Over the past several months, the economy’s instability and skepticism shared via foreign countries have made the desire for an safe haven even more alluring for those seeking to invest for the first time or modify their current investments. Though there’s never a surefire absolute when it comes to the stock market, there are more proven investments that have historically withstood the test of time and volatility that ensues when there is national crisis or sensitivity. Many investors continue to look to gold as a safe haven they can rely on to ride out any turbulence that may arise. 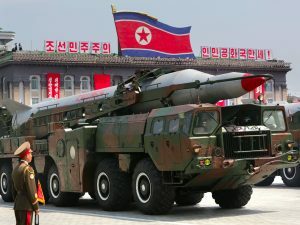 North Korea is committed to “strengthening its national defense” with the continuation of nuclear development despite the added pressure from the Trump administration and its efforts to have China help with putting a stop to the missile programs. The timeline as reported by the UK Express shows the increased turbulence between North and South Korea and the increasing concern from the U.S. that North Korea will receive support from Russia, a country that has been a topic of contention in recent political headlines. In a statement from the White House, it was indicated that the world leaders from India and South Korea would be working together with Trump to find a solution to oppose the “weapons of mass destruction” and a plan that would hold responsible parties accountable. As international relations continue to be strained, the effect will be felt through financial regulations and potential economic impacts in America. As foreign relations continue to be defined, financial uncertainty remains top of mind in investing conversations and decisions spanning all parties. 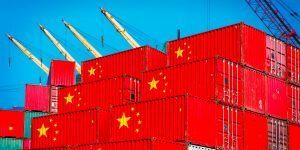 Newsweek reported last month that in an April visit to meet with Chinese president, Xi Jinping, President Trump declared he had expressed a better trade deal with China if it worked to “rein in the North,” since North Korea continues to be a major ally of China. Although this sentiment is in opposition to the claims he made on the campaign trail to take a tougher stance on Chinese trade initiatives ruled unfair to the U.S., it turns out it was a tactic that failed to be effective (based on a tweet from the President’s personal account on July 5, 2017). 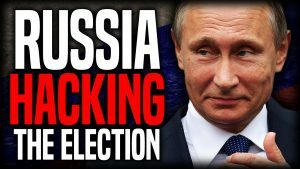 In what is viewed as an about-face from President Trump following weeks of involvement denial, he has affirmed Russia’s meddling in the U.S. election, although he previously deemed it “fake news” in candid force via his Twitter account and through media interviews. Now Trump is referring to the topic of “real news” to admonish the Obama administration and make it known that his belief is there should’ve been something done sooner about this knowledge. The change in rhetoric from the president has caused more than a few people left wondering why the turn in narrative and has only added to fuel to the fire between Trump supporters and naysayers. The questions now filling up the interwebs is why Trump is now affirming what he had emphatically renounced as false information. Does he want to prevent any such interferences occurring in future elections? Or, is he wanting to hold Russian hackers accountable for their actions? Time (and Twitter) will most likely reveal over time the musings of our 45th president and his action, reaction, and inactions to further “fake news” involving Russia. 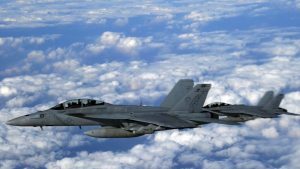 Despite tactics to thwart a takedown of a Syrian Su-22 fighter, two U.S. Navy F/A-18E Super Hornets downed the aircraft over Syria. According to a Pentagon spokesperson, Navy Capt. Jeff Davis, the Syrian fighter had “dirty wings,” a military term to describe a plane carrying armaments. In efforts to warn the aircraft away, U.S. Navy observed the aircraft dropping munitions and shot it down. In the wake of the events, the market began to fall, causing the U.S. dollar to drop against the asian Yen during trading immediately following. Yet, gold as a safe haven continued to prove its sturdy standing, jumping higher as a result. In a response to the incident, the Russian Ministry of Defense stated it would consider any coalition aircraft west of the Euphrates River as “air targets” and would be suspending the de-confliction line; although further reports stated that the line remained open. It was noted in the report from CNN that the last time an aircraft was manned down by U.S. military was in 1999 during the NATO intervention with Serbia. Although the current administration wants to advance economic growth, policies are in need of more radical change, according to some experts. Whatever the tax reform this administration introduces over its current term, financial uncertainty still looms despite the low unemployment rate numbers. Because low unemployment percentages may ease the minds of the population, although the actuals of what that information translates to and what the repercussions are as a result may not be inherently clear. Defense of the cost of gold helped cause the Great Depression. 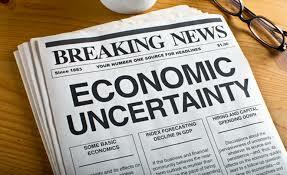 A recession started in August 1929, after the Federal Reserve raised interest rates up in 1928. After the 1929 stock market crash, numerous speculators began reclaiming paper money for its incentive in gold. The U.S. Treasury stressed that the United States may have a gold shortage. It requested that the Fed raise rates once more. That would build the value of the dollar and keep it more significant than gold. It worked in 1931. By 1932, speculators again handed over cash for gold. As gold costs rose, individuals accumulated it, driving costs up considerably higher. To stem the recovery of gold, President Roosevelt banned private ownership for coins, bullion, and endorsements in April 1933. Americans needed to sell their gold to the Fed. 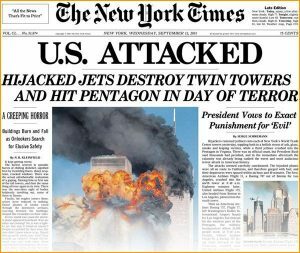 The financial markets never opened on that game changing day of September 11, 2001, and stayed shut for the following four trading days. 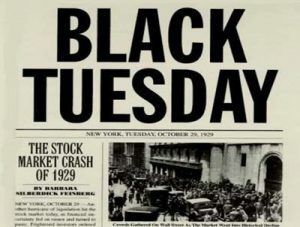 At the point when stocks started trading again on September 17, 2001, speculator feeling was typically dreadful, and the Dow Jones Industrial Average dove 684.71 points, which around then was its greatest one-day point drop ever. Therefore, $1.4 trillion was lost in trading in one week, portfolios and retirements were crushed, and years of development were lost and never recouped. Worries over conceivable future terrorist and military dangers to our financial system, unpredictability in the market, the contracting U.S. dollar, and government financial and fiscal arrangement were all factors that started an expanding interest for gold bullion, Pre-1933 gold coins, and Precious Metals IRAs in 2001 and still today in 2017. Very quickly after September 11, 2001, the national debt climbed significantly to take care of the expenses of country security and now remains at over $19 trillion today in 2017. The dollar file has kept on falling and gold, which is an impression of the U.S. dollar’s diminishing worth, has developed more than 500 percent. This steady development saw spot gold remaining at $285 per ounce on September 11, 2001, and climbing to $1,820 per ounce 10 years later. When the nation has been at its rockiest, gold has proven time and time again to be the more conservative investment decision for its ability to “ride the storm” of the market through the ups and downs. 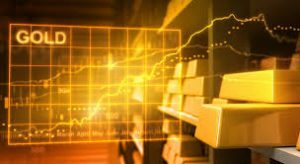 If you’re considering adding gold to your portfolio, learn about how such an investment could work in your favor, especially during times of economic and political turbulence. Looking to start investing with Gold in your IRA?